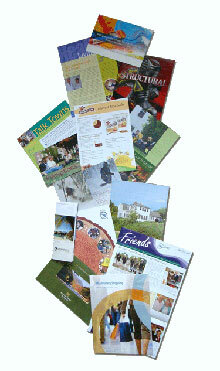 There is virtually no limit to the ways we can help you communicate with your target audience. We can provide you with a multitude of products and customized solutions that will meet and exceed your project goals. Below is a list of our core Products & Services that you may be interested in. Please click on any Product or Service to get a detailed description. Since most of what we manufacture is customized to client specifications, our products are not limited to the list below. Do not hesitate to consult with us on creating your own custom printed project.